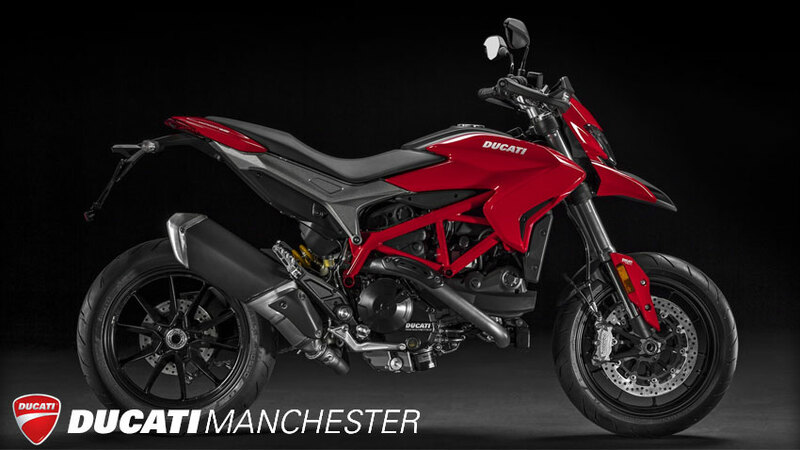 For 2018 the range consists of 2 models, Hypermotard 939, and Hypermotard 939 SP. Thanks to a last generation design, the new Hypermotard 939 family has breathtaking aesthetics aimed at providing maximum enjoyment. An impressive profile with a high slender tail piece and narrow sides which give the dirt-bike inspired bike an original look. The new Hypermotard 939 family offers all the power of a new generation 113 HP Testastretta 11° engine with the advanced technology of Riding Modes, Power Modes and the Ducati Safety Pack. Don’t put the brakes on your energy: attack any road in Hyper style. A raised set-up, forged Marchesini rims, fully adjustable suspension with an Öhlins front fork and Öhlins rear shock for an extraordinary dry weight of 181 kg. ABS and Ducati Traction Control as standard, so you can concentrate on having a good time. And the incredible Ducati Corse livery underlines the fact that the Hypermotard 939 SP is an uncompromisingly sporty bike, ready to face any challenge. The new Hypermotard 939 offers all the power of the latest generation 113 HP Testastretta 11° engine with the advanced technology of Riding Modes, Power Modes and the Ducati Safety Pack. The Hyperstrada 939 extends the hypermotard concept to fascinating new horizons. ABS, DTC, windshield, side bags, dedicated ergonomics and a series of touring features offering a new riding experience for everyone who loves curves, even when they're far away from home. Hyperstrada 939: broaden the horizons of your emotions. 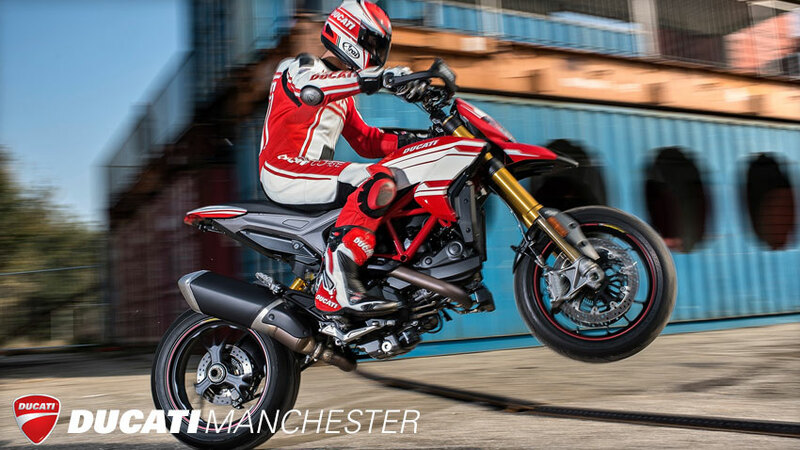 Book your Hypermotard or Hyperstrada Test Ride today - We always have a selection of Demo bikes available at Ducati Manchester. All members of the Hypermotard 939 family offer 3 Riding Modes which are programmed to instantly change the engine torque and the intervention levels of the ABS and Ducati Traction Control even while ridin. RACE: The Race Riding Mode provides 113 hp with a direct response from the RbW on acceleration, minimum intervention from the DTC system and level 1 efficiency from the ABS which is applied only to the front wheel and without rear wheel lift control. SPORT: The Sport Riding Mode provides 113 hp with a more progressive response from the RbW on acceleration, average level intervention from the DTC system and level 2 high braking efficiency from the ABS with reduced control over lift. WET: The Wet Riding Mode provides 75 hp with gradual response from the RbW on acceleration, intervention from the DTC system close to the maximum threshold and level 3 braking efficiency from the ABS with maximum stability on braking and control over lift. 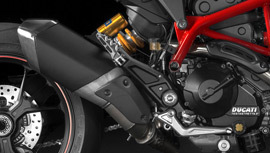 Enhance the Hyper style by giving your bike even more drive with the special range of Ducati Performance accessories. Choose from the Sport, Touring and Urban packs to make your bike even more exclusive and true to your riding style. Manufactured for Ducati by Termignoni, the complete racing set is designed to maximise riding pleasure at all times. Even at low revs release the power of the new 939, to get up to maximum speeds unleashing all the power and torque. Finished off with titanium and carbon details, it takes the Hypermotard's sporty spirit to the max. The new Sport pack melds carbon, always synonymous with sportiness and technology, with sophisticated solid aluminium details. The accessories on offer fit perfectly into the design of the Hypermotard and add to its sporty character. Included in the kit: screen, fuel tank cover, side panels and adhesive carbon protectors, and lastly solid aluminium foot pegs for unmatchable grip. 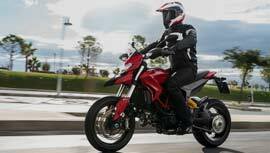 Motard on the bends but also a versatile travelling companion; thanks to the Touring pack accessories the Hypermotard grants you the pleasure of completely liberated fun. Included in the kit: top case, passenger grip handles, heated grips and fuel tank bag. 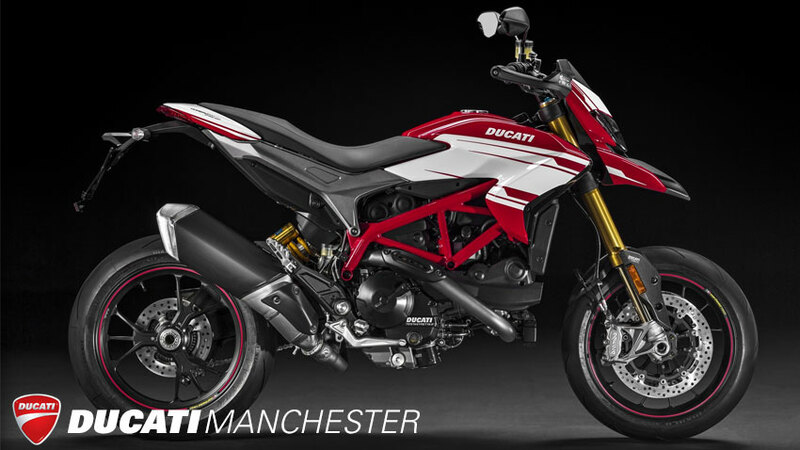 Transforms your Hypermotard into the perfect companion for city streets. Thanks to the accessories in the Urban pack you will always feel safe when you make your daily journeys. Included in the kit: burglar alarm, numberplate holder and rear mudguard in carbon. Ducati's most eclectic bike adapts to different riding styles, from the sportiest bends to the streets of the city. The Sport C2 leather jacket, with aluminium shoulder plates, CE protectors, and pockets for a chest protector and back protector, ensures comfort and protection. The zip at the waist allows it to be attached to the Sport C2 trousers, with CE protectors on the knees and soft reinforcements on the hips. The Ducati Theme Pro full-face helmet, Performance 14 gloves with carbon protectors on the knuckles, and Sport 2 boots with rigid protectors on the shinbone, heel and ankle bone complete the look. The Redline jacket, ideal for medium-range touring, is made of soft Softshell fabric combined with a waterproof breathable membrane and incorporates certified protectors on the shoulders and elbows and a detachable hood. The Ducati Type Pro full-face helmet comes with the innovative Pro Shade System: clear visor and adjustable external sunshield to reduce the sun's glare. And finally, the Tour C2 fabric-leather gloves and Strada 13 boots made of leather and GORE-TEX®. Perfect for the urban rider, the Company C2 leather jacket comes with a pocket to insert a back protector and equipped with composite protectors on the shoulders and elbows. The Company 2 technical jeans, with removable soft protectors on the knees, have fibre reinforcements on the hips. To complete the look: Thunder Pro helmet, featuring a graphic that recalls the asphalt, Sport C2 gloves with carbon protectors on the knuckles, and Company 2 boots with inner and outer protectors. 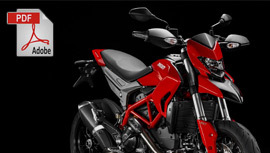 Please view our models archive to see previous Hypermotard models and colours.